New York is a city of many styles. Take a stroll down any street in the five boroughs and you’ll see. From Madison Avenue’s blue bloods, to the Lower East Side’s cool guys, there’s no shortage swag on these streets. 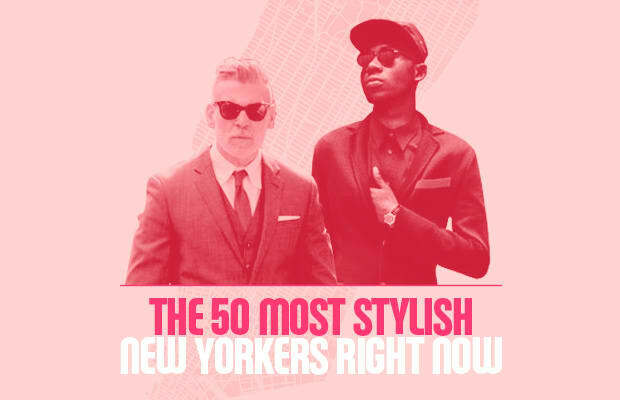 You’d have a brain aneurysm if you spent your time trying to count down the most stylish dudes in NYC. That’s why we’re here. How did we decide who made the list and who shall remain among the unnamed masses? Well, while fame and notoriety are nice, they don't hold a candle to consistency and original thought. What does that mean? It means if you have a stylist, and it's obvious, we docked points. We took a look at personal style, not how dudes dress when they model for lookbooks or fashion shoots. We wanted to take into consideration the guys that dress for themselves, not the camera. So with that in mind, here are The 50 Most Stylish New Yorkers Right Now.